Looking for a Signet Ring? Signet Ring .eu is part of Zegelring BV, the exclusive heraldic jeweler and expert when it comes to signet rings. We are specialized in signet rings with coat of arms from families with family roots in Europe, but also help many customers with signet rings with other engravings (such as monograms or own designs). We are located in the Netherlands, but serve customers from around the world with the finest of traditional and modern signet rings jewelry. All our signet rings are handcrafted and guaranteed best quality, so they last for generations. We only collaborate with experts in the field of European heraldry and coats of arms, leaving your signet ring in the hand of the most skilled gem-cutters in the world. And this leads to astonishing results. A signet ring is often passed down from generation to generation. They create a bond between families from the past, present and future. We assist you in finding a signet ring of extraordinary quality for you. For over 20 years, we have had the privilege of helping many families finding their perfect signet rings. 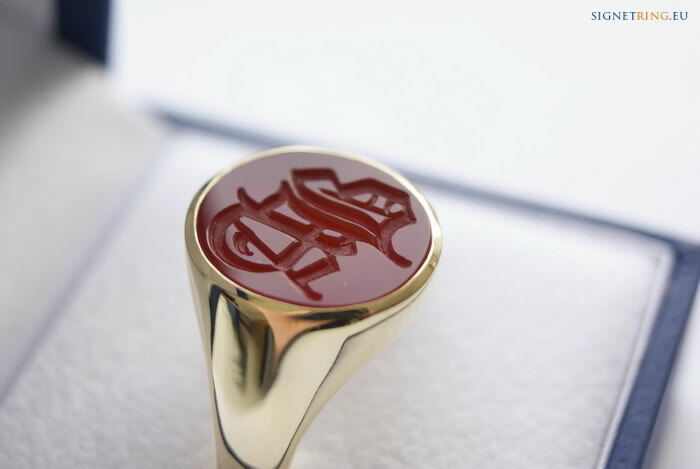 Signet rings are handcrafted: the jewelry designer crafts the ring and the engraver takes care of the engraving of the ring (often a coats of arms or a monogram). Signet rings are available in different models and can be made from various materials. The most popular models and materials are on display in our online gallery of signet rings (see zegelring.info for our collection of signet rings in the Netherlands). Having a signet ring made is simple: after you placed an order online, our jewelry designer and engraver will go straight to work on your unique ring. Signet rings come in different varieties and sizes: silver signet rings, gold signet rings and white gold signet rings. After you have picked the desired material, you can choose a ring model and the material for the engraving. 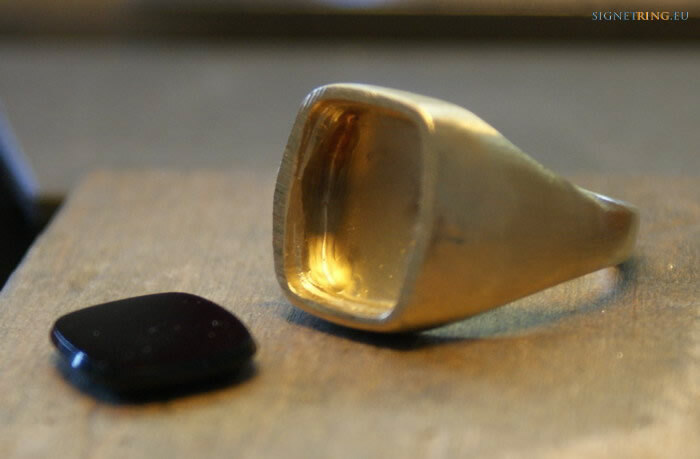 Quality is a very important aspect of signet rings, since they have to last for generations. The manufacturing of a signet ring requires work from the heraldic expert as well as the jewelry designer and engraver. Signet Ring .eu combines the knowledge of these three and is therefore able to offer you a wide selection of high-quality signet rings. Usually, a coat of arms is displayed on a signet ring. 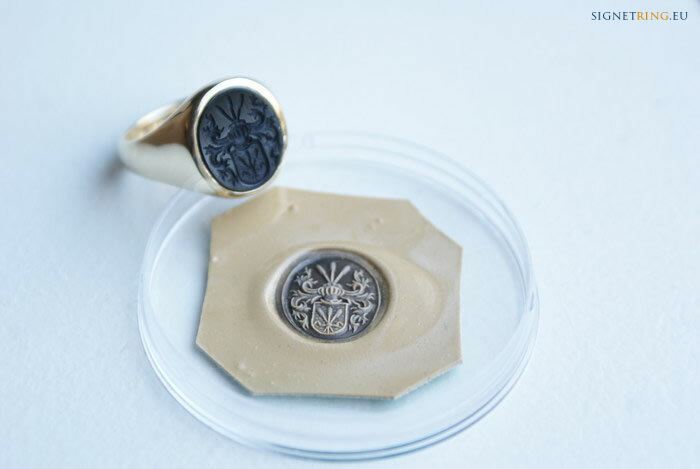 You can take a look in the archive of signet rings to see if your family has a coat of arms. We have an alphabetically ordered archive that makes it easy for you to determine whether your family has a coat of arms that is usable for a signet ring. 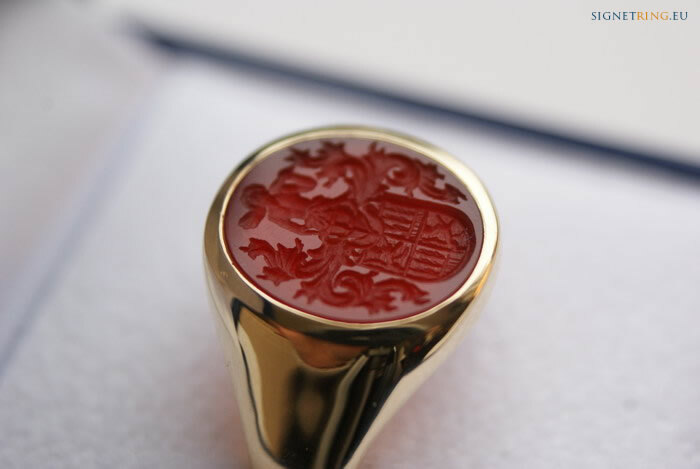 In the case that your family does not have a coat of arms, arrangements can be made to design a custom coat of arms to use on your signet ring. See our video below for some samples of our signet rings. The video shows a selection of signet rings with different engravings: family crest, coat of arms and monogram. Many examples include a wax imprint of the seal ring, showing the quality of the engraving. Another video showing more seal rings is on the bottom of this page. In our section with information about signet rings, you can find a growing selection of informative articles concerning signet rings. Please refer to the menu on the right. We create signet rings for our customers world wide. Below some examples of our work. Does my family have a signet ring?